Japan Airlines (JAL) will once again re-open the "JAL Welcome! New Sky Cafe" for a limited time. 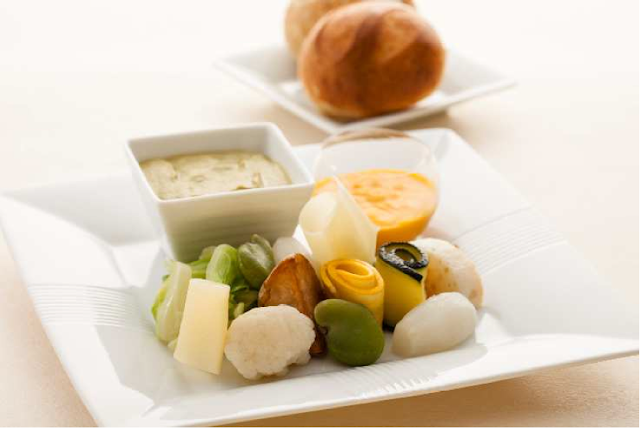 Just like the previous cafes in Roppongi Hills and Aoyama, you will be able to try out the demo units of JAL's state-of-art long-haul products installed on the SKY SUITE 777 (SS7) and dishes from its enhanced catering service dubbed BEED SKY AUBERGE by JAL. This is a perfect opportunity for those who cannot afford or still don't have a chance to fly on the SS7 to try out the JAL New Sky experience! This time the cafe will be located inside The Prince Park Tower Tokyo located near the Tokyo Tower. 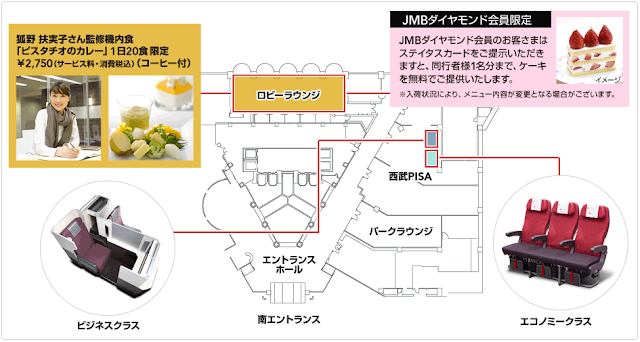 During April 19 - 21 2013, JAL will set up demo units of its new Business Class seat, JAL SKY SUITE, and new Economy Class seat, JAL SKY WIDER, at SEIBU PISA, a watch and jewelry salon located on the first floor of the hotel. You will be able to try out the seats between 10:30 and 19:00. However, the salon will stop letting people in after 18:30. The units are placed side by side (blue and green boxes above). So it should be easy to find. Also, JAL is running a promotion for its valued JAL Mileage Bank (JMB) Diamond members. By presenting your Diamond card at the cafe, you and up to one companion will receive a complimentary cake (there's a sample strawberry cake shown on the map, although the actual cake might change).